If you’re looking for an eerie, creepy or thriller play in the spirit of Halloween, check out these plays that just might give you a chill or two! 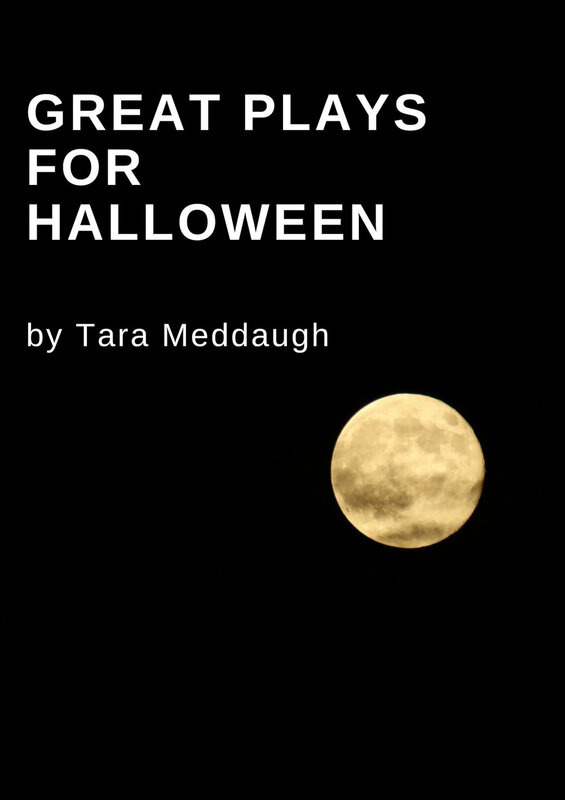 From the witch in that gingerbread house, to a mysterious heart, a domineering bingo chip, a lust for human hair—and more—enjoy these unique and darkly comedic plays by Tara Meddaugh. After giving up her dreary home at The Witches' Estate in search of warmth and sweetness, Delphine creates a new life for herself on the outskirts of a busy village. She builds a beautiful and welcoming gingerbread house to live in, and opens her home and treats to the children of the village. Despite her openness, the children return her kindness with mischief and terrorism. Delphine’s giving spirit retreats, and she draws upon her witch’s disposition to survive. But when she finds two strange and other-worldly children, named Hansel and Gretel, gnawing at the icing on her house, her true nature is put to the test--and her life changes once again. Seventeen Stitches: A one-act dark comedy/drama/thriller for 1 male and 1 female. Click for an excerpt of the one-act play, Seventeen Stitches. Click below for the entire one-act play, Seventeen Stitches. Click for the free excerpt to FREE SPACE. Click for the entire downloadable full-length play, FREE SPACE. Pinhole of Joy: A full-length absurd/dark comedy/thriller play for 2 females and 2 males.